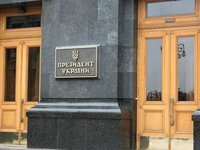 President of Ukraine Petro Poroshenko is ready for a dialogue in the "Ukrainian House" with the bishops of the Ukrainian Orthodox Church (Moscow Patriarchate) on the creation of the Ukrainian Local Orthodox Church, as was suggested earlier, the presidential administration's press service told the Interfax-Ukraine news agency. "The president invited the archbishops of the UOC-MP to dialogue so that they hear first-hand information about his talks with the Ecumenical Patriarch, about the agreement between Ukraine and the Patriarchate of Constantinople and about the readiness of the Ecumenical Throne to facilitate the Unification Council. President of Ukraine is ready for dialogue. Door of the "Ukrainian house" remains open," the presidential press service reported.